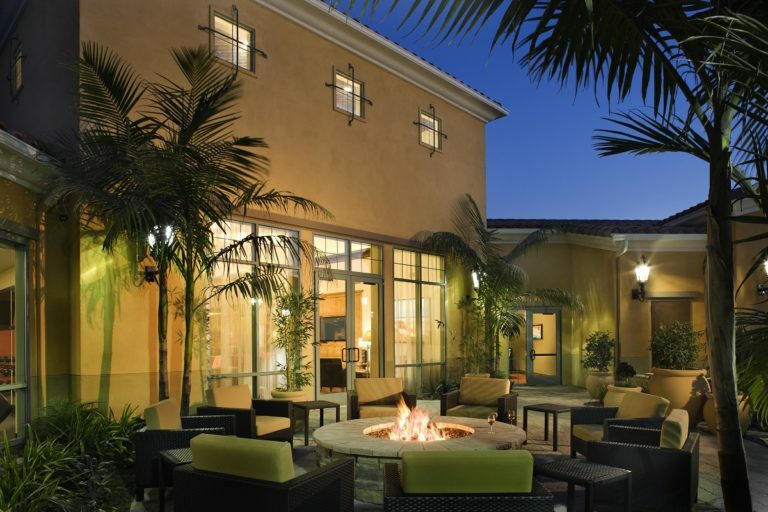 With sophisticated comfort, Courtyard by Marriott Santa Barbara Goleta is ‘The Good Land’. 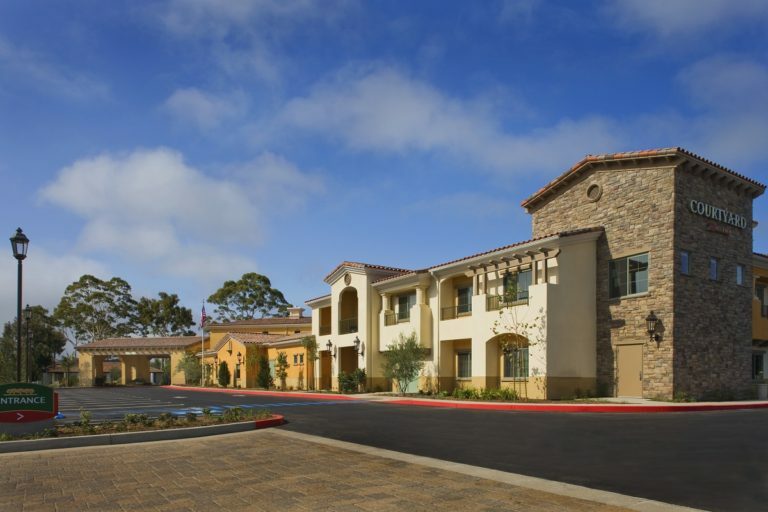 Our hotel is along the Highway 101 corridor right in the middle of Santa Barbara and Santa Ynez Wine Country. As one of the most welcoming Goleta hotels within 3 miles of the prestigious campus of University of California Santa Barbara, we are ideal for business and leisure travelers. 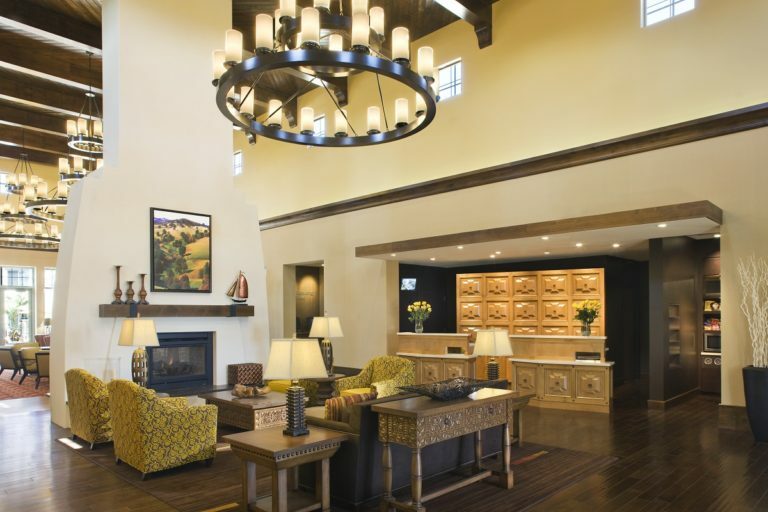 Our state-of-the-art lobby boasts plenty of space to work, gather and relax in style. The Bistro – Eat. Drink. Connect.® offers healthy and hearty breakfast and dinner options as well as Starbucks® drinks and evening cocktails. 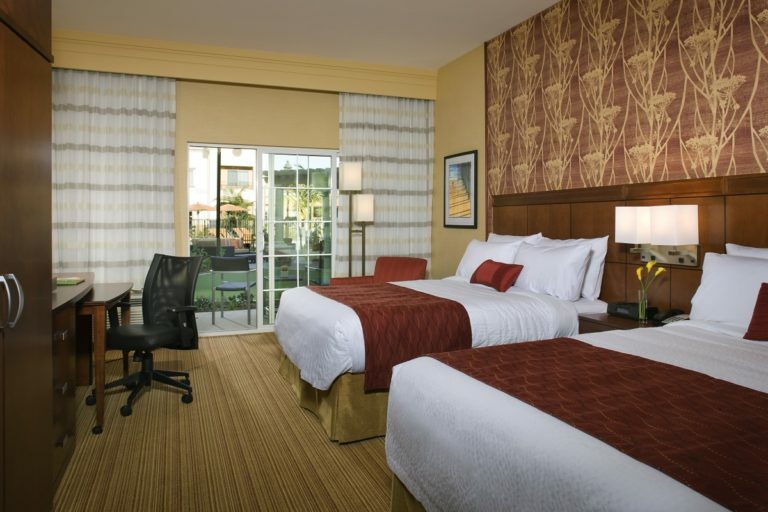 Enjoy modern amenities and complimentary Wi-Fi in spacious guest rooms. 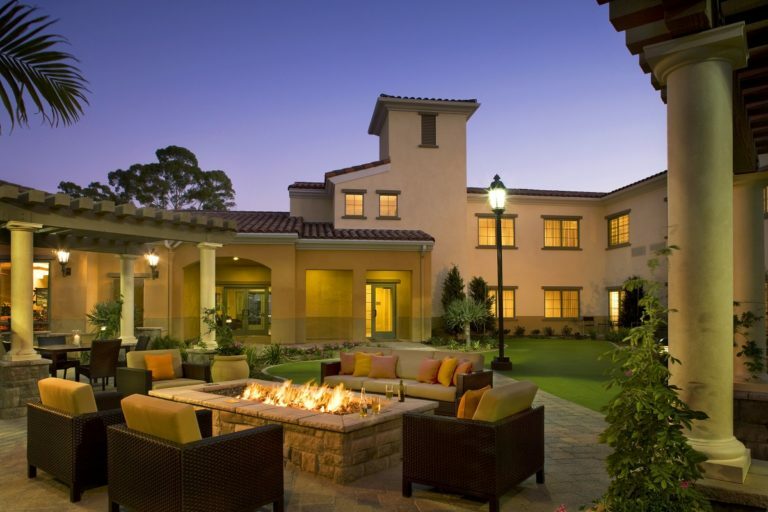 Take in the area’s scenery from outdoor lounge spaces with fire pits and cozy seating. The resort-style swimming pool is the perfect place to unwind and take in the California sun. Our event planners can guide you through every detail of hosting a reception or professional event at our premier Goleta hotel. 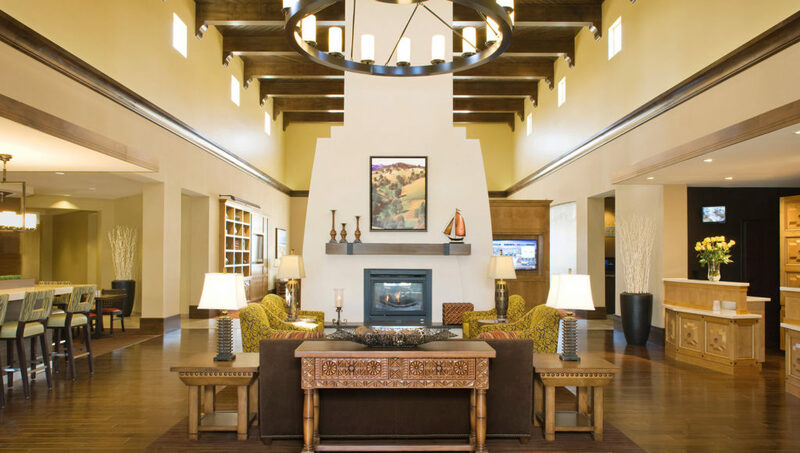 The area's rich Spanish history is reflected within the interior design of our unique hotel. We offer two meeting rooms totaling 1,500 square feet and capable of seating up to 50 guests. Our Goleta meeting venue is perfect for small business meetings and informal get-togethers. 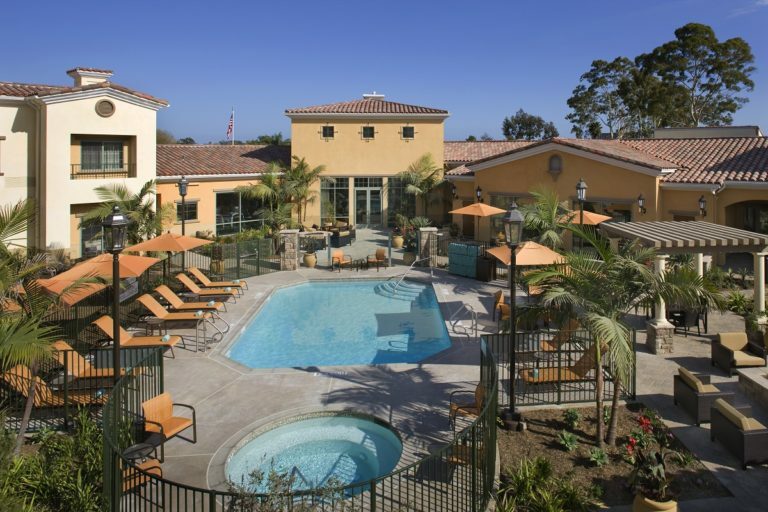 Stay connected throughout your stay with free Wi-Fi in each of our Goleta accommodations. Prep for the day in our bathrooms, featuring glass showers and large vanities. 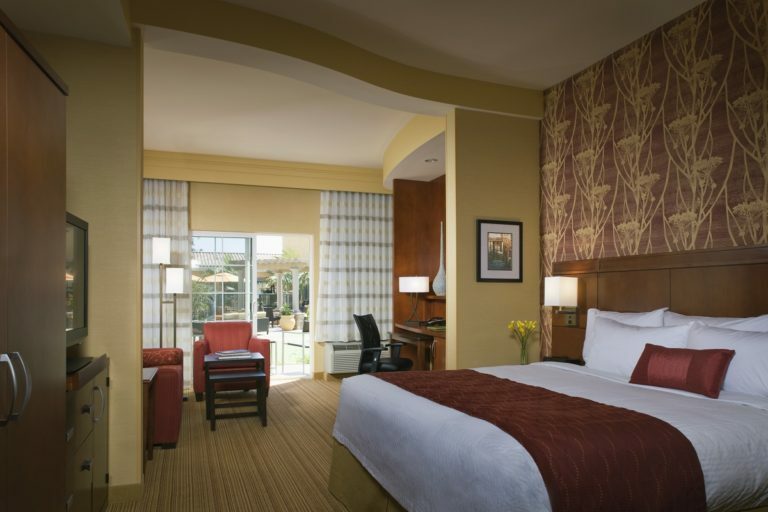 Receive discounted rates when you book a block of 10 or more Goleta hotel rooms. 1,200 sq ft of meeting space. The Gaucho Room can accommodate up to 90 theater style, 60 schoolroon style, 30 conference style, 30 u-shape style, and 90 Reception style. 300 sq ft of meeting space that can accommodate upto 14 conference style and 12 U-shape.